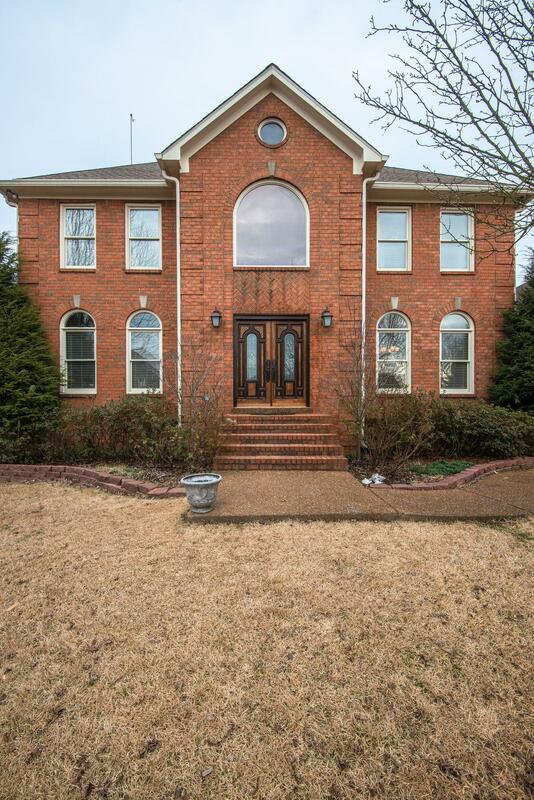 Beautiful Mahogany double doors opens to a 2 story foyer with exquisite custom built walnut, grand curved staircase. Large kitchen w/cherry cabinets, granite counter tops, with loads of seating at custom built island bar. Real hardwoods throughout! No carpet! Marble tile in bathrooms. Huge bonus room that can be 5th bedroom. Fenced back yard, 2 oversized HVAC units. 3 car garage. All brick! Great neighborhood!